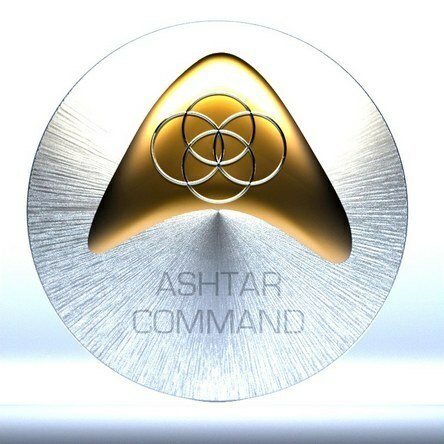 This is Ashtar Sheran with a message to update you on the proceedings of Liberation of Planet Earth. As you await the RV, speculation abounds as to what is required before the monies are released and the zim notes can be cashed. What is required is that your world be GESARA compliant. Yes. Nothing less than. Your world must be at peace, your world must be cooperating with Trump and the Alliance forces. Your world must be rid of all key cabal players, in order for the RV funds to be released. As for your nuclear armaments and your fear of a third world nuclear war, do not listen to any reports that this would be likely, as all armaments have been disarmed and reproduction of any such forces are being stopped by those of the Galactic Federation. If you believe that your world leaders are capable of disengaging from nuclear war since the McCarthy era, since post-WWII, you give them too much credit. Your world was slated for nuclear destruction many years ago, but we of the Federation stepped in and stopped it. Do not give your world leaders credit for being the peacemakers they might now appear to be. We have their arms securely held behind their backs as they are forced into GESARA compliance (he means they must comply or they'll be arrested). These leaders will be changed up in time, for new leaders chosen to lead your world into a new era of peace. There is enough “dirt” on any of your leaders to land them into Guantanamo Bay so in order to merit a reduced sentence, many of them have decided to cooperate with those of the Light. Not all, but we are working to that end. Those who refuse GESARA compliance will be removed. Your days of service-to-self governments are now ending as your world sees new light. We regret that it has taken this long for the RV to roll out on all levels, however it is necessary to protect those who will be the new dispensers of wealth and economic stability upon your planet. Those who seek to provide income to the poor, healthcare to the sick, and wares to the needy would be seen as the new enemy of the cabal, therefore the cabal's numbers should be reduced to insignificance before the RV can be funded to these lightworkers. We are beginning operations of cleaning your pollution, your nuclear waste, and ridding your world of armaments so that there will be no opportunity to use them against you again. Your world is turning a corner. All reparations are made in accordance with the collective frequency of your planet as you rise higher into the Light. Any reporting of attacks against you or your cities in any way are false dark reports. We of the Light do not attack those who we serve, who share our ancestral DNA. We do not attack those we see as our royalty. We are here to liberate you so that you can become the divine beings you were meant to be. So you can take your rightful place in the Light with wide open loving hearts. We salute those lightworkers making the efforts to raise their frequency and to help others to do so as well, in these confusing times of confusing reports. Our intentions remain positive for all timelines. More plans will be undertaken to help those who are intent on experiencing a less fortunate reality. It will all make sense in the end. Please be patient. Or have gone to the nether world, perminnately!